A number of prominent personalities in the musical world supported the orchestra’s development and growth, among them Jorg Demus, Carlo Chiarappa, Riccardo Muti and Luciano Berio. Over the years they have also enjoyed the collaboration of many fine musicians, among them Stefano Montanari who was an integral part of the orchestra for over 20 years. This has allowed the ensemble, which plays on period instruments, to become ever more specialized in 17th, 18th and 19th-century repertoire. Gradually the orchestra developed a distinguished voice by adopting its own interpretative style based on a common language and shared performance practice, reflecting the noblest tradition of Italian chamber music. In 1999 Accademia Bizantina performed their first staged opera, Giuseppe Sarti’s “Giulio Sabino”. 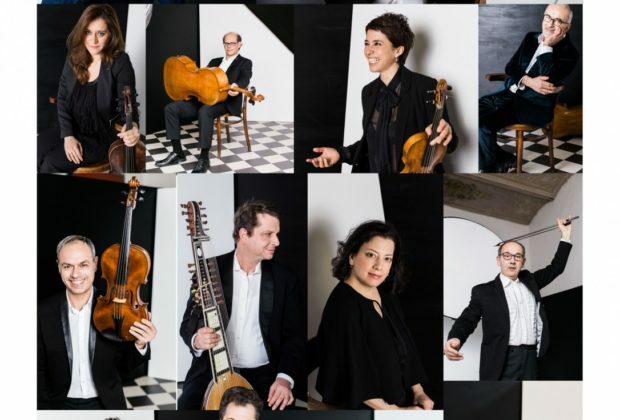 The orchestra has gone on to specialize in the rediscovery and performance of Baroque operas, ranging from major works to operas which have never been performed in modern times.